Hello! I'm Jacob Sutherland, and I'm a singer/musician/creator who makes music videos! I've been sharing videos on YouTube since 2011, and in the years since I started, I have grown tremendously as a performer, as a musician, and as an artist because of what my experience on YouTube has taught me. You can now find my music streaming on Spotify, available on all the major online stores, and, of course, on YouTube! 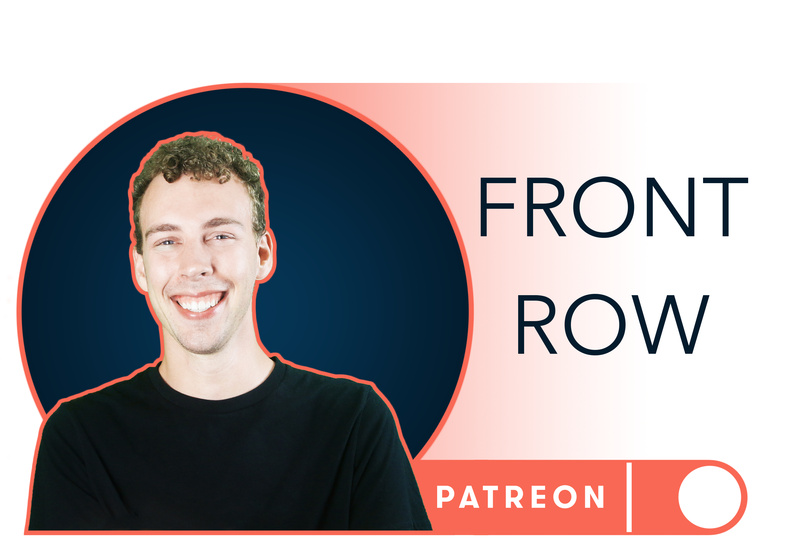 Patreon is THE best way for anyone to directly support their favorite creators. There's nothing I love more than making these music videos, but each one takes a huge amount of time - especially when it involves intricate vocal arrangements and visual effects. Every cover song/medley I create is an original arrangement, and the recording, mixing, filming, and editing are all done by me (with the occasional assistance of a very kind volunteer camera operator). Giving $1 (or more!) per music video will help me produce the highest quality content possible. 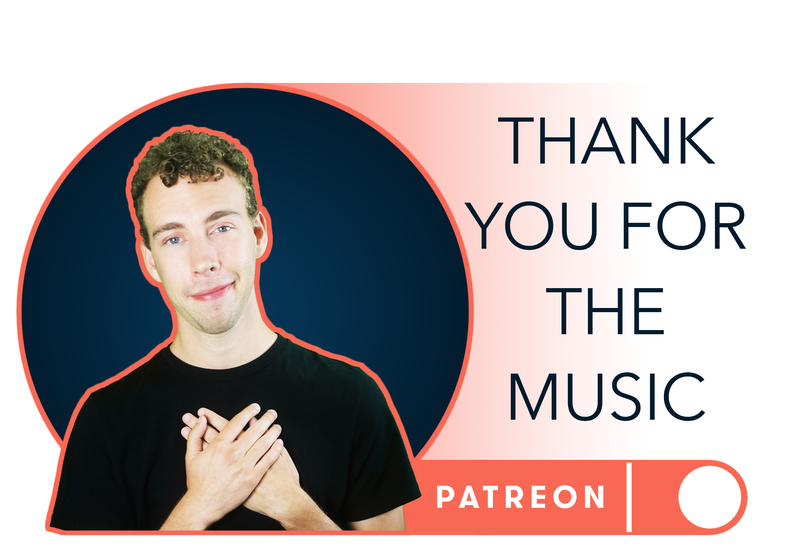 Every bit of your Patreon pledges will go toward creating better, more frequent music videos. So far, patron support has helped with things like lighting fixtures, backdrops, and unique props and costumes. Before long, my goal is to be able to regularly hire a professional audio engineer or videographer to make my music videos as good as they can possibly be. $1 per video - Front Row! For the first music video you support, your name will be featured as a 'New Patron' at the end of my video! You will have exclusive access to view my videos a day before anyone else! 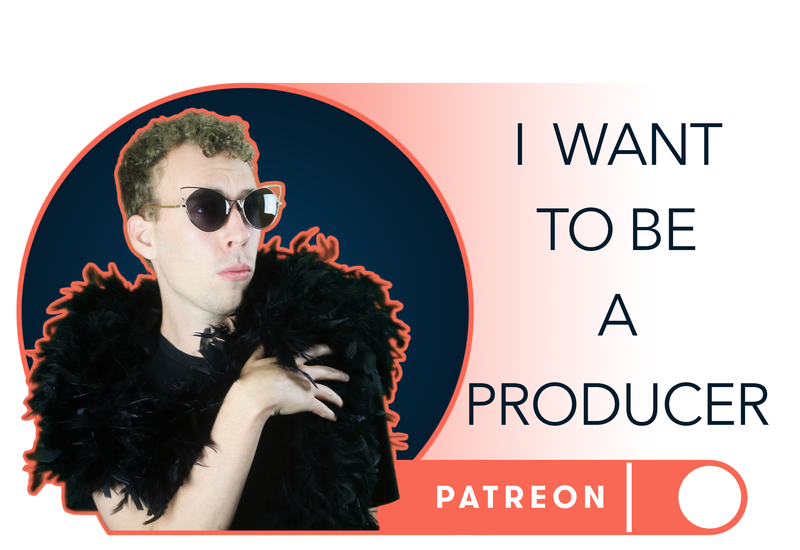 You'll have access to my Patreon activity feed, where I'll interact and respond to questions! I'll send you a download link to a folder of free MP3s!!! You'll receive TEN different songs that I've posted to Youtube, just for supporting me on Patreon! 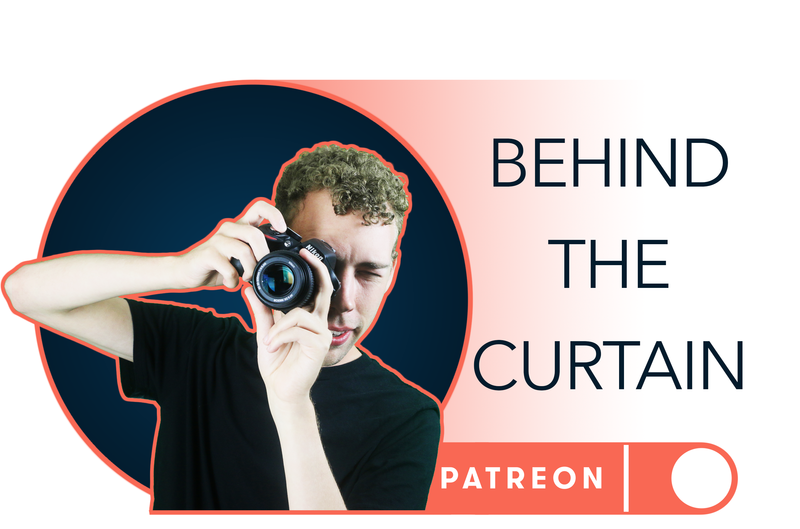 $3 per video - Behind The Curtain! You will receive an MP3 download of every song you helped support! You will have exclusive access to full "behind the scenes" videos, clips, and pictures! $5 per video - I Want To Be A Producer! Your name will be on the screen at the end of every new music video as a "Top Patron", thanking you for your patronage! I'll follow you on the social media of your choice! Twitter, Instagram, Tumblr - whatever you want! 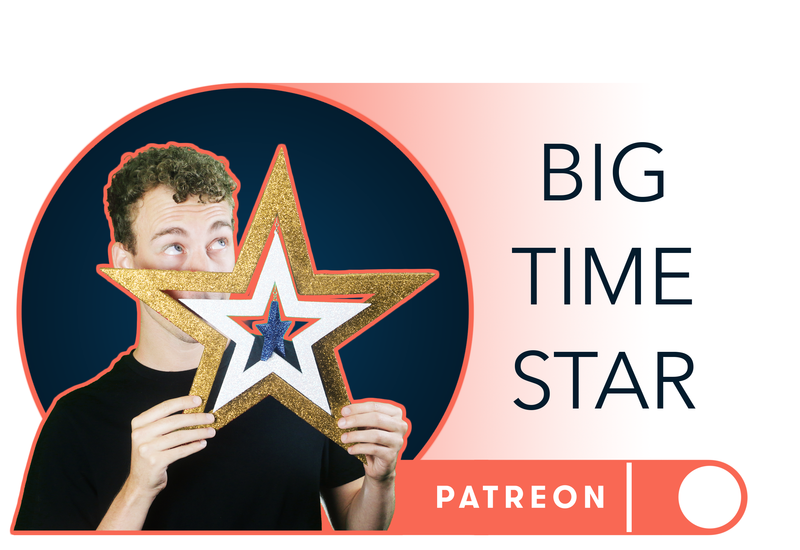 $10 per video - Big Time Star! It's your chance to sing along! For every new song I release, you'll receive a download of the instrumental track! $20 per video - Thank You For The Music! I will send you a personalized thank you video! This video will be just for you, and it will be entirely unique! $50 per video - Songsmith! A Cover Just For You! I will perform a single one-take piano/vocal cover of any song of your choosing! And I'll thank you personally at the end! A Cappella OF YOUR CHOICE! You get to choose my next fully-produced A Cappella cover! I love making A Cappella covers, and I'll make sure that your song sounds fabulous as sung by a choir of me! You'll also get thanked personally at the end of the video! 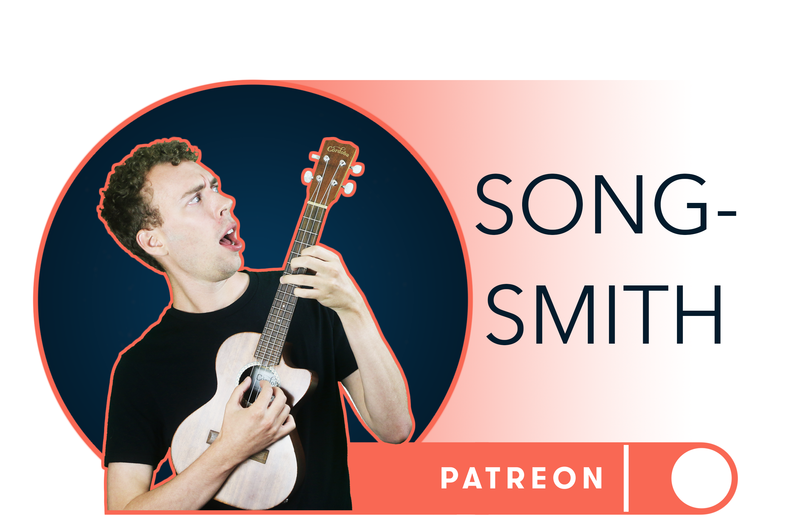 New Patron - For the first music video you support, your name will be featured as a 'New Patron' at the end of my video! Early Video Access - You will have exclusive access to view my videos a day before anyone else! Patreon Feed - You'll have access to my Patreon activity feed, where I'll interact and respond to questions! Free Music! - I'll send you a download link to a folder of free MP3s!!! You'll receive TEN different songs that I've posted to Youtube, just for supporting me on Patreon! MP3 Downloads - You will receive an MP3 download of every song you helped support! Exclusive Behind The Scenes - You will have exclusive access to full "behind the scenes" videos, clips, and pictures! Everything from the above reward levels! Top Patron - Your name will be on the screen at the end of every new music video as a "Top Patron", thanking you for your patronage! Social Media - I'll follow you on the social media of your choice! Twitter, Instagram, Tumblr - whatever you want! Karaoke Tracks - It's your chance to sing along! For every new song I release, you'll receive a download of the instrumental track! Personal Thank You Video - I will send you a personalized thank you video! This video will be just for you, and it will be entirely unique! Everything from the above rewards! A Cover Just For You! - I will perform a single one-take piano/vocal cover of any song of your choosing! And I'll thank you personally at the end! A Cappella OF YOUR CHOICE! 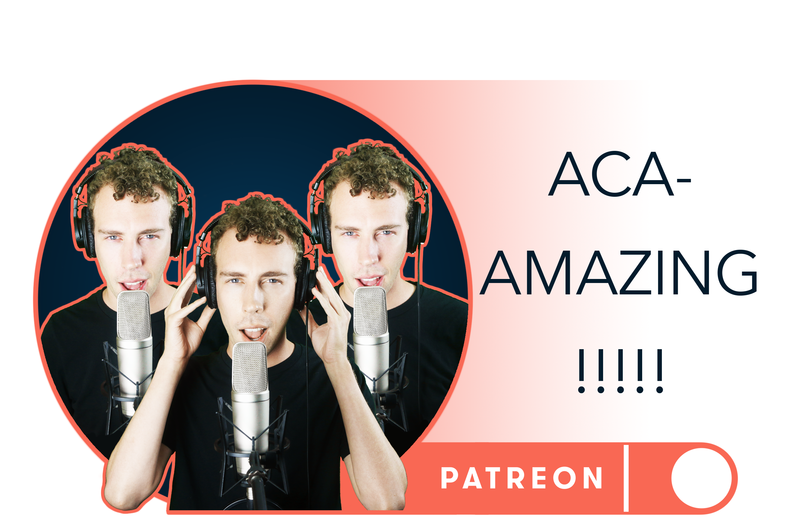 - You get to choose my next fully-produced A Cappella cover! I love making A Cappella covers, and I'll make sure that your song sounds fabulous as sung by a choir of me!. You'll also get thanked personally at the end of the video! You'll receive everything from the $20 and lower reward tiers! I'll be able to afford to regularly outsource parts of the video-making process to professionals! (audio engineers, camera operators, video editors, etc...) That means I spend less time finishing a single project, and more quality content!